Fantasia Barrino Is Pregnant. Won’t Terminate This Time. 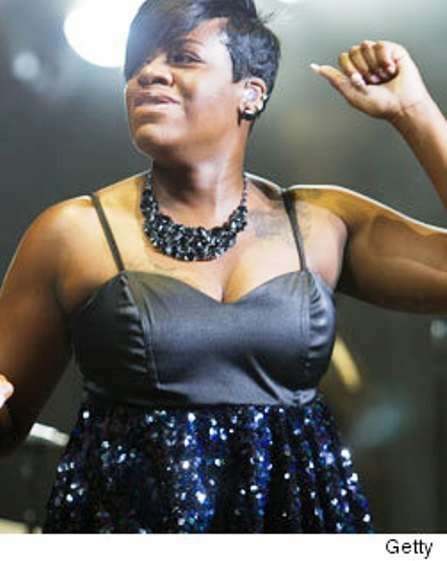 During a charity concert at the Riverview Apartments in Jacksonville, Florida recently, American Idol winner Fantasia Barrino announced to the audience that she’s having God’s baby. Or something like that. “You are the first [people] that I share this news with. And I share this with you because I can relate to you. And for a while, I walked around figuring out what they will say and what will they think about me. But now I tell you, I don’t live my life for folk. There’s much speculation that the father of the baby is Fantasia’s married boyfriend, Antwaun Cook; the two have been in a relationship for quite some time even though he and his wife, Paula Cook, just recently separated. If Cook is indeed the father, this would not be the first time he impregnated the singer; Barrino admittedly had an abortion last year. It was also around that time that Fantasia tried to take her own life. And make a quick buck. 53 queries in 1.359 seconds.